An Interview With the Maine Quartet, GHOST OF PAUL REVERE About Their Forthcoming Album, ‘Monarch’! 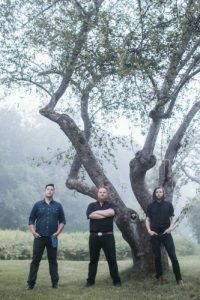 Maine holler-folk quartet Ghost of Paul Revere will release their new album ‘Monarch’ on October 27th via Kobalt Music Recordings. ‘Monarch’ sees the band stay true to their folksy, harmony-heavy “Avett Brothers with a twist of bluegrass” (The Boston Globe) sound while exploring darker topics through metaphors of art, New England winters, and entomology. 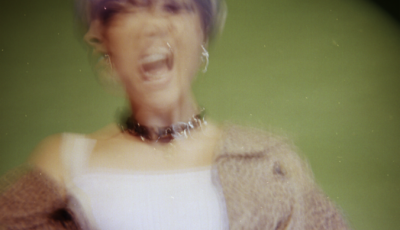 Over its eleven-track narrative, ‘Monarch’ makes a powerful statement about positive growth: sometimes rip-your-heart-out pain and chilling isolation are necessary in order to achieve metamorphosis. The band has had a whirlwind three years since releasing their debut album ‘Believe’ in 2014. In 2015, they won an emerging artist contest through the Newport Folk Festival that led to their debut at the Festival alongside artists including James Taylor and Jason Isbell, and the recording of their ‘Field Notes Vol. 1’ EP. 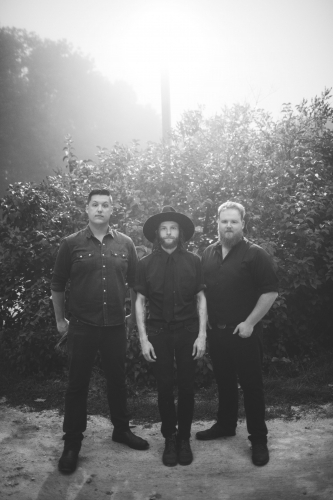 Since then, The Ghost of Paul Revere has consistently been the best-selling local artist in Maine and New Hampshire and has shared the stage with artists the likes of The Avett Brothers, The Revivalists, and members of Old Crow Medicine Show. 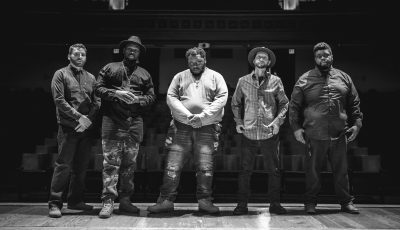 The Ghost of Paul Revere have embarked on a 35+ date tour after playing a string of festivals with Los Lobos, Mavis Staples, and Anders Osborne this fall. We’re holed up in Denver, CO today. We’ve been listening to everything from David Ramirez to Yo Yo Ma to the new Jaw Gems record. Our musical tastes vary wildly between classic rock n’ roll to rap to bluegrass, so there isn’t much off the table. Currently, Earl Scruggs is picking in the background. How does 2017 so far compare to last year? How differently did you all approach this year then you did 2016? The shows have become a little bigger in scale. For the first time we’re touring as a five piece (guitar, bass, banjo, harmonica/lap steel, and drums) and playing festivals and venues formerly out of our reach. Linking up with Joshua Knight over at Paradigm has opened us up to a whole new playing field. We’ve always been comfortable with the grind, now we’re just getting out of the bar and into venues. Can you recall the moment you all realized that you could really make music together and be this band? Why do you think your name truly represents this group and the music that you create? Where did your name come from in the first place? Max, Sean, and I have known each other for 28 of our 30 years on this earth. We’ve been singing together and adventuring together since before I can remember. I had come home from college and was playing music out as Griffin Sherry & The Ghost of Paul Revere. The Ghost represented not only a rotating group of musicians but the indescribable spirit a performer feels when they step out of themselves and into a song. When the three of us sat down and began writing songs, however, I knew I shouldn’t look any further. We dropped my name and kept the rest. I realize now that the name is a good fit, something I could not have foreseen when it came to me one early morning at 19. To the three of us now, it’s a call back to the history of where we’re from and to the idea that we are also carrying a message, but in a different sort of way. I always like to ask artists how their hometown has been an influence on the kind of music they make and really what kind of a band they are today. So how do you think your hometown of Portland has affected you all and the music that you create? Well, originally the three of us are from small towns twenty miles west of Portland. We grew up in a rural area on the Saco River, no street lights, sidewalks, or grocery stores. I think those long days spent outside and discovering the hidden worlds in the Maine woods made us a band of brothers with a similar sensibility. Possibly the best and only way to describe it is that where we came from built in us a relentless honesty. The music we create is exactly the music we want to create, and we put on no airs on stage. I would love to more about your sound and why you describe it all “holler folk”? In the first few years, people would come to shows and ask us what type of music we were and we never had a straight answer for them. We’re a band playing traditional folk instruments, who grew up on Led Zeppelin and Radiohead, writing music influenced by everything in between. Holler-Folk was a term we created early to encapsulate our sound. It was a reference to communal singing and field hollers, our instrumentation, as well as the energy we brought to our performances. Later this month, you will be releasing your new album called “Monarch” via Kobalt Music Recordings. What was it like putting this collection together? Did anything surprise you about the overall process? How long did it all take? What was it like making this collection not in Portland? Some of the songs grew organically over time, out on the road. Most, however, we wrote during the recording process. The original intention was to make a record we couldn’t play live. We had never done an orchestrated, true “studio” album. Everything before was recorded live in a room together in front of a few microphones. There was also this romantic notion of doing a record in the way something like ‘Exile on Main Street’ was done. In the end, the songs grew, changed, evolved, and we spent the better half of 2016 in and out of the studio trying to understand what the music needed. One of the most important steps of the whole process however, was returning to our hometown studio to finish the record. By the end, I think we were able to make a very ambitious record that still maintains our own voices. How do you think you have all grown as a band since your 2014 album, “Believe” was released? What has remained the same? At our core, we’re still three best friends writing and performing music with all the passion we can muster. These days we’re able to reach more people with our music and perform on stages all over the country. We’re a little more confident in what we can achieve, a little more driven then ever before, but the original sensibilities are the same: play with blood and guts, have fun, and take no prisoners. What was the inspiration for your album’s lead single “Montreal”? Typically, how do you all go about writing songs? I wrote “Montreal” at the end of a long relationship. We took a trip to Canada to see if we could turn things around, and one of the nights when I couldn’t sleep it came all at once. I’ve learned to never ignore those sudden waves of inspiration. Sometimes you have to literally stop your car on the freeway, grab something to write on, and hope you capture it. That isn’t the only way I write, though sometimes it feels the least contrived. A song like “The Ballad of the 20th Maine” took two years of writing and research. When I get on the trail, most times I find I have to follow it to its completion, no matter how long that may take. Where do you think you are all happiest- on stage performing, in the studio recording new music or elsewhere? Eating Korean Barbecue? I think we find joy in both the studio and in our travels, but there is nothing quite like those small, serendipitous moments on stage to give you a grin ear to ear. Performing the right song for the right crowd can be electric. With the summer over now, what was your favorite part about it? What was something fun that this group did or tried for the first time? Well, we put 3,700 miles on a rented Subaru touring the west for two weeks. I think one of my favorite things we did all summer was arranging and performing a few shows as a nine piece band. It took our songs into a different stratosphere. We are living in a crazy and at times rough world right now so I am curious how you think being in this band gives you the most joy in life today? Do you think that new music being created today is going to reflect these hard times? Being in a band that spends a good amount of the year on the road trying to prove themselves to new faces every night is far from entirely joyful. It has given me some of my highest highs and lowest lows over the last few years. However, I wouldn’t do anything else. You need the bad to appreciate the good and I am in love with what we do. It seems, personally this is surely the case, that the attention of the modern songwriter is self-reflective and not a call to arms. There will always be artists who are shaped and shape their times. It’s hard for me to tell if there’s no modern Pete Seeger or if there are a million and we are just having trouble hearing them through all the voices. I hope we can rally behind a voice and right our wayward ship. I also hope there are young songwriters out there who realize you can write about more than just partying and love, a lesson I still haven’t picked up on. Who are some of your favorite artists? Is there anyone that you would still love to work with in the future? What would be a dream collaboration for this band? The Band is always at the top of our collective list. Springsteen, too, along with Dr. Dog, My Morning Jacket, and Shovels & Rope. With all the road hours, we listen to a lot of music. We’ve been on big kicks of Bahamas, Willie Watson, Andy Shauf, and Jason Isbell recently. Our dream list is infinitely long, but we’d love to do something like sing six part harmonies with the Staves or Joseph, work with T.Bone or Justin Vernon, play with David Rawlings or Wilco. Even just sitting down and talking about music with Herbie Hancock would blow our minds. There are so many in the modern music pantheon that we respect and love. It’s actually pretty funny to be at a point where we get to meet some of our heroes and nervously fan-boy out around them. I hope people find our music sincere and passionate. I also hope we can show them that it’s ok to be honest, a little awkward, and have fun. Our music is extremely personal and sharing those moments with others is our catharsis. I hope that the songs allow others to open up and find themselves in those same emotions, possibly help them find words to things that previously left them speechless. That’s what all of my favorite music does for me. Practice and don’t take yourself too seriously. Most of all, write music and play music that means something to you. People are drawn to performers like that. You can waste hours and years trying to turn yourself into something you think you’re supposed to be. Also, the van WILL break down. So don’t sweat the small stuff. Is there anything else that you would like to share with our readers about the band or your new music? The three of us are extremely proud of Monarch and can’t wait till it’s out. It represents a big step for us personally and we hope people will love it as much as we do. I also hope they come out and see the show on the road. And never be afraid to come up and talk with us, we’ve made some of our greatest friends traveling. Pop Artist ALEX AIONO Discusses His Latest Interscope Records Music And A Lot More! 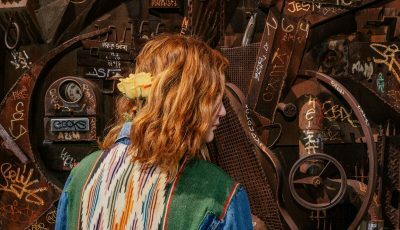 Pop Singer-Songwriter CAMRYN Discusses Her New Track ‘Glow’ and Much More!